LONG BEACH, California -- A man is suing the California State Lottery Commission and a local liquor store for failing to honor a winning Scratchers ticket worth $5 million. Ward Thomas is suing the commission and Los Altos Mobil for damages resulting from the loss and denial of the winning ticket. In the lawsuit, Thomas claims on or around Oct. 16 at 8 p.m. he and his 16-year-old son Benjamin went to the store to buy California Lottery tickets, which they had done in the past. Benjamin bought five Scratchers tickets at $20 each and was given the remaining $230 to take home. When Ward and his son went home, they played the tickets and a "100X The Money" ticket resulted in a winning amount of $5 million. According to Thomas's claim, he validated the ticket at a 7-Eleven in the 1700 block of Palo Verde Avenue around 9:54 p.m. that night. He then validated the ticket again the next day at the state's Lottery District in Santa Ana. Ward said he then submitted the claim for the winning ticket and was told by the commission he was the winner of the $5 million prize. But on Dec. 5, the commission denied his claim for the money, stating the ticket was purchased by his son who could not legally play the lottery, according to the suit. 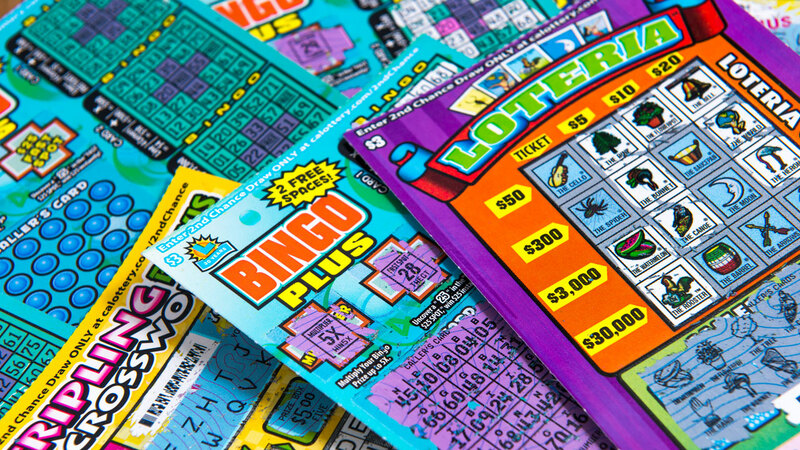 The plaintiff claims that at no time did the store tell his son he could not purchase Scratchers tickets because of his age. He also claims his son was not asked to have an adult present to buy the tickets or that he provide his identification. In the lawsuit, it claims the commission failed in operating by its own rules properly and failed to have Benjamin informed that he could not buy a ticket because of his age. It also states his son was not asked for an ID by the store, which means the store failed to verify his son's age before allowing him to get a ticket and that Benjamin was not informed any winnings would be invalidated. The suit goes on to say there were no signs at the store, that the commission failed to honor Ward's winning ticket, it improperly trained retailers about the lottery rules, especially when it comes to the age of the buyer, and not having stores properly enforce those rules. The lawsuit states Ward has suffered and will continue to suffer financial losses including interest and other damages because of the ongoing issue. It also said Ward suffers emotionally, which totals about $50,000 in damages. The California Lottery Commission said it could not comment because of pending litigation.